← Harrison Consoles’ $29 AVA Series December Promo! 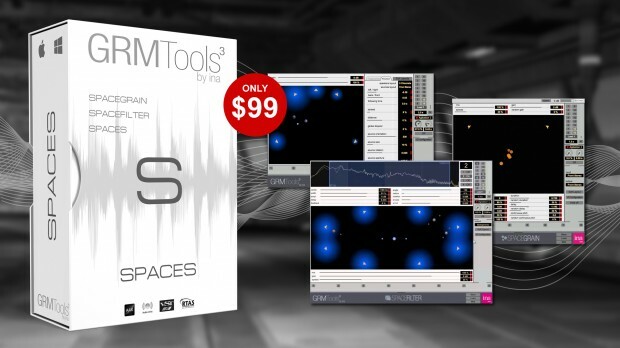 GRM Tools SPACES gives you an unprecedented control of the sound field with total automation and it is yours for only $99 (List $249) right now. Get GRM’s SPACES for only $99. This entry was posted in DontCrack, Plug-ins, Promotions and tagged 32 channel audio, 4 independent frequency bands, Delay, Feedback, GRM, GRM Tools, GRM Tools Spaces, multichannel audio, SpaceFilter, SpaceGrain. Bookmark the permalink.